Published at UOC R&I Talks, 25/04/2017. 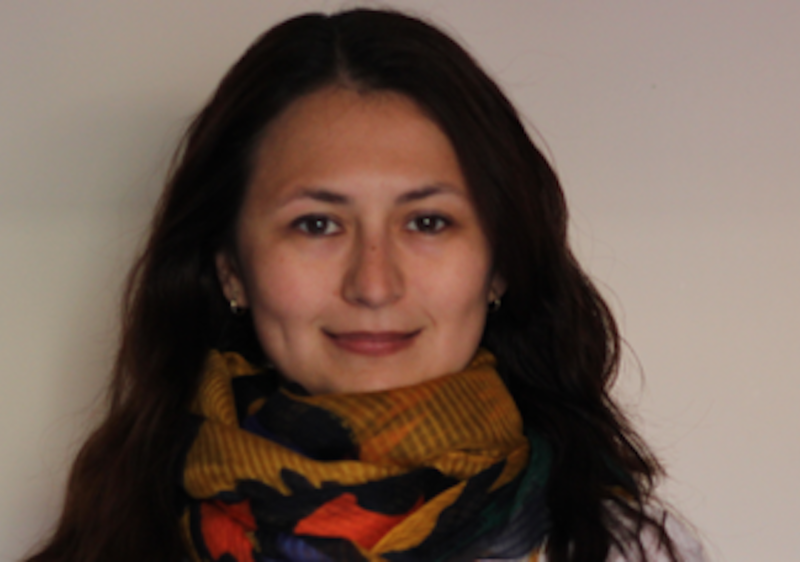 Since September 2014, Öznur Karakas has been a doctoral student on the UOC’s doctoral programme in the Information & Knowledge Society. She has had the support of her supervisor, Israel Rodríguez Giralt, professor at the UOC Faculty of Psychology and Education Sciences. Their field of research is science and technology studies (STS), in particular the study of the role technoscience plays in contemporary forms of social movement and political activism. Öznur brings her background in Philosophy to her doctoral research to engage in an alternative analysis of the Gezi movement that took place in her home country of Turkey in 2013. Öznur, what happened in Istanbul’s Gezi Park during the summer of 2013 that made you choose this topic for your doctoral thesis? The summer of 2013… Well, everything started when a group of urban activists set up an encampment in Gezi Park to prevent the AKP government from going through with its urban plan to demolish the park and build a shopping mall and artillery barracks, among other things, in the Gezi area. In Istanbul, a great deal of dissent had already been expressed about the AKP government’s urban transformation projects. Right before Gezi, we witnessed a big mobilization of people against the demolition of the Emek Cinema on Istiklal Street, for instance. However, in Gezi’s case, violent police intervention aggravated the situation and groups of people started to swarm the park. Gezi suddenly became a magnet for larger populations who had issues with the decade-long AKP government. After days of intense clashes with the police, the park was occupied by the protestors, and they stayed there for around two weeks. The protestors who “reclaimed” the park soon started to get organized around meeting basic requirements like food, shelter and cleaning, and an alternative, one might say “communalist”, lifestyle began to be led in the park. Activists described life in Gezi Park as a place where, overall, feelings of solidarity and goodwill prevailed. After they were forced out of the park, the activists started to come together in the parks of their respective neighbourhoods. In a way, Gezi was thus decentralized, and the deliberative practices experienced there were transferred to the parks of the entire country. The summer of 2013 also saw popular park assemblies held at a national level. Personally speaking, as an activist who had the chance to participate in the Gezi mobilization in different cities and at different levels of the process, the summer of 2013 was an unforgettable moment charged with the feelings of joy, solidarity, goodwill and a spirit of affirmative and inclusive dissent. Why did you choose to do your doctoral degree at the UOC? I knew that the UOC was the right place to study social movements. By the time I was thinking of enrolling, I was more interested in studying movements like Gezi’s based on the concept of “network” and Negri’s emphasis on the changing nature of dissident movements and subjectivities in a post-Fordism era. I knew that it was the type of study that I would be able to carry out at the UOC. Plus, it goes without saying that Barcelona is a very vibrant city in terms of urban movements. I also wanted to experience personally the dissident nature of Catalonia’s capital. I would say, “How and around what values, issues, practices and protest types are Gezi communities established?” and then, at a more theoretical level, “Can the Gezi movement be analysed adequately using the concept of ‘network’?” and “Could the Gezi movement be better analysed as an assemblage. The first, main question is interested in Gezi as an encounterand questions the emergence of a new dissident community in Gezi Park, and later through park assemblies and neighbourhood solidarity movements. What main philosophical concepts do you use in your research and how can their interplay with STS to help in the analysis of social movements such as Gezi’s? Well, there are many. Firstly, there is the problematization of the concept of “network”. We know that it is a very loaded concept that has different meanings and connotations in social movement theory, actor-network theory, etc. I mostly problematize this concept in its capacity to account for the bodily and embodying nature of the Gezi movement, as well as the emergence of a new community from the meeting of a very heterogeneous population. “Network” seems to be a concept that can account – at a technical level – for various nodes of relationality amongst terms that are already in touch with one another. In that sense, it is more useful to describe already existing activist communities, like the ones mobilized by alter-globalization movements. This is my first problem with the concept of network. The second is that discussions about networks seem to miss the “bodily” aspects of such mobilizations. I mean the encounters (which, by the way, is a concept that comes from late Althusser’s “materialism of the encounter”), transformations, feelings, interdependency, etc. During my stay in Gezi, it occurred to me that this was somehow one of its most important aspects. Later on, speaking with the other activists, I was convinced that they were also moved mostly by the affective charge of the moment, of the ways they felt themselves, of the surprise they experienced at getting to know what their bodies could do. Network accounts are generally too technical, too lifeless to be able to account for such aspects. Then there is the concept of assemblage, which I find more adequate when speaking of this embodiment. This requires a thorough reading of the concept as developed by Deleuze-Guattari. However, it is related to a very material and semiotic way of theorizing the ways the world/worlds are constituted. Considering the Spinozist conceptualization of the body in Deleuze-Guattari – and the ways in which they refer to assemblage as a body in and of itself – the concept of assemblage obviously leans heavily on a bodily approach. It highlights bodies’ ability to affect one another and to be affected by each other. Taking this theoretical background into account, other Deleuzian concepts like “event”, as a novel relationality where the “relations are not reduced to their terms”, and “becoming” are also among the theoretical tools that I use to account for Gezi. As for STS, we know that the actor-network theory shares most of these conceptual tools. I believe that the way network is conceptualized in actor-network theory is somewhat closer to the Deleuze-Guattarian take on assemblage, although it might be too technical to account for the bodily nature of encounters. Feminist STS studies provide significant tools for overcoming this issue, by the way. I also think that the actor-network theory’s criticism of the “social” in sociology, with its Tardian philosophical background, provides us with important tools with which to pay more attention to emergence in the composition of communities and worlds. With actor-network theory, the social is devoid of its abstract character as a “substance” and it becomes a problem of constitution, arrangement, indeed, assemblage. How did the Gezi movement come to be organized? How does the socio-political organization of protests in contemporary networked societies differ from those past? Well, the problem of organization is a problem of assemblage. At first, Gezi was an encounter; it was an encounter that endured just long enough to become a force that would turn into an irrevocable fact in the political history of our country. I try to deal with the problem of organization in Gezi by analysing the material and semiotic means by which novel Gezi communities are assembled. In that sense, certain values like anti-sexism, anti-nationalism, inclusivity, deliberative democracy and performative practices and types of protest like assemblies, Earthmeals[t&s1] (communal Ramadan dinners), human chains, etc., come to the foreground. We see deliberative political mechanisms of the country’s independent left and the communalist practices introduced by the radical left pervading the Gezi movement, even though the majority of the protestors were not familiar with those traditions. Therefore, certain practices and values introduced by the organizations of the independent left were present throughout the course of the Gezi mobilization. In fact, they came to be what marked Gezi as we know it now. In that sense, I would say that, in our era, the deliberative practices experienced by the non-institutional left, including the women’s movement, the LGBT movement, urban movements and neighbourhood movements, take front and centre in the recent mobilizations, as opposed to the parliamentarian mechanisms or representative practices of the traditional political parties and trade unions. I guess all organization is a problem of assemblage, what changes are the components that become assembled. In today’s societies, we have different technological actors that become a part of the assemblage. The social media was significant in Gezi, mostly as an alternative media where activist journalists could freely share content. This was key, since there is a severe level of censorship, which results in the absolute debilitation of traditional media in covering dissident moments. However, I do not believe that the new occupy movements are the materialization of online networks, as Castells or Juris aver. This reading places undue emphasis on the horizontal character of online networks, as if horizontality were an essential feature of online communication. It also diminishes the significance of the material encounter that happens in the public space, its transformative character, as well as the practices and protest types that help this encounter to endure. Although social media was highly used in Gezi, it was not for the purposes of organization. At the beginning, we did use Twitter to share the whereabouts of make-shift activist health clinics, etc. However, the police were quick to sabotage our Twitter shares, providing false information that led to the wrong address, where some actually got arrested. During the park assemblies, being physically present for decision-making was very important, and the assemblies were careful not to make decisions or engage in political discussions on Facebook pages or blogs. Technological mediation was not a given in the mobilization; it was, in fact, a source of struggle in Gezi and Taksim Square. I remember activists’ putting pressure on Turkcell, the service provider, to install mobile base stations around Taksim. It was also a battle to get access to free Wi-Fi. We had a list of restaurants and shops that would let us use their Wi-Fi connection; the others were on the list of shops to be boycotted! We also had infrastructure problems; it was quite a feat to get the mobile phones charged in Gezi. Surrounding hotels used to provide us with electricity and extension cables, but it wasn’t enough. What I mean is that there is a tendency in occupy accounts to present technological mediation as a given, free of problems; hashtag or Facebook revolutions were once – and possibly still are – a common denominator. The fact that we live in a networked society and therefore new social movements are all organized around social media is still a common belief. However, in the light of my observations and data – including in-depth interviews with activists – I believe that technological mediation should never be taken for granted; instead, it must be seen as part of the assemblage with which it is associated, with all the infrastructure problems that come with it. Does the physical occupation of public spaces remain as important for political action as before the emergence of digitally mediated forms of participation? This question is pretty much related to the previous one. Of course it is. The occupy movement in general and in Gezi in particular represents very material encounters. As I said before, online participation in Gezi was mostly in the form of activist reporting and broadcasting and it depended on the offline, on-site actions. How do you envision social groups being able to consolidate relations and associations in a digitally augmented reality? What will the logic of our collective intelligence be in the future? Again, this will depend on the particular assemblages to which the digitally augmented reality is being applied. I believe that we, as social scientists, will study each and every one of them and see the common and disparate features. I am very cautious of hyperbolic accounts regarding technological mediation. I am very much influenced by the lineage of French epistemology, which includes philosophers like Canguilhem and Foucault. We might include Deleuze in this lineage. For me, technological mediation has characterized human interactions since the dawn of evolution. Techniques and technology have always been actors in the human ordering of life. However, it takes on different forms in each and every assemblage, and we need to be careful in making well-grounded, local accounts of the use and impact of new technologies. What type of career do you have in mind for yourself after you complete your doctoral studies? Well, I will definitely continue working as a translator and interpreter. I would like to work and teach in a university and continue my academic career, preferably in my country, in my beloved Istanbul, although the odds are not very good in this regard, in light of the current political situation in Turkey and the oppression suffered by academics aligned with the opposition. Any advice that you would like to share with future doctoral students? Any special wish for research in general? Well, my advice for the future doctoral students would be to choose a research topic that they are really passionate about. We have, for so long, thought about science being all about neutrality or objectivity – I am referring to the dominant idea of objectivity as opposed to Haraway’s view of objectivity as “situatedness” – that we have forgotten the importance of passionate attachments. We instead need to situate ourselves correctly and try to be conscious of and clear and passionate about our interventions.